Michael has been trying to keep a gluten-free diet for the past 5 weeks. He’s more disciplined than I would be if I were doing it. For him, going GF has eliminated the need for Zantac and his waistline has also shrunk significantly. So to show support for him, I try to make GF meals. 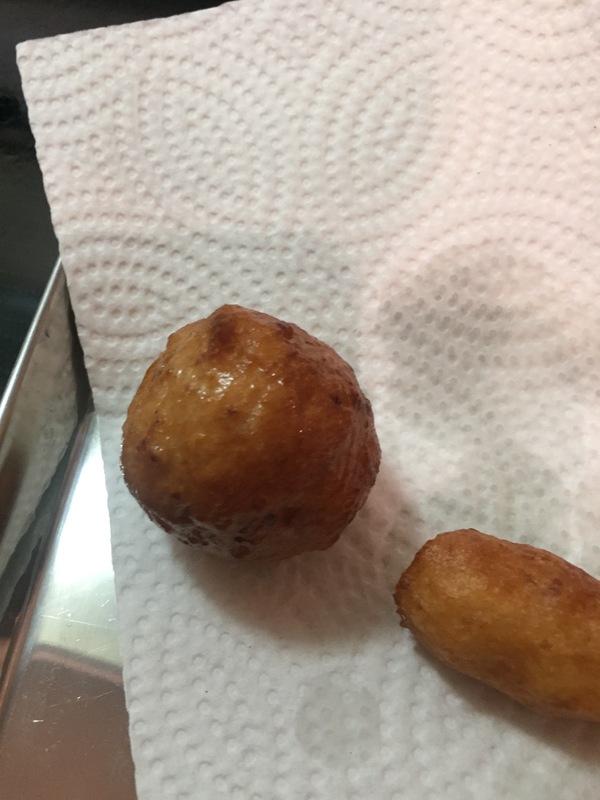 Well, I was very excited when I stumbled across a Sufganiyot recipe that was GF. 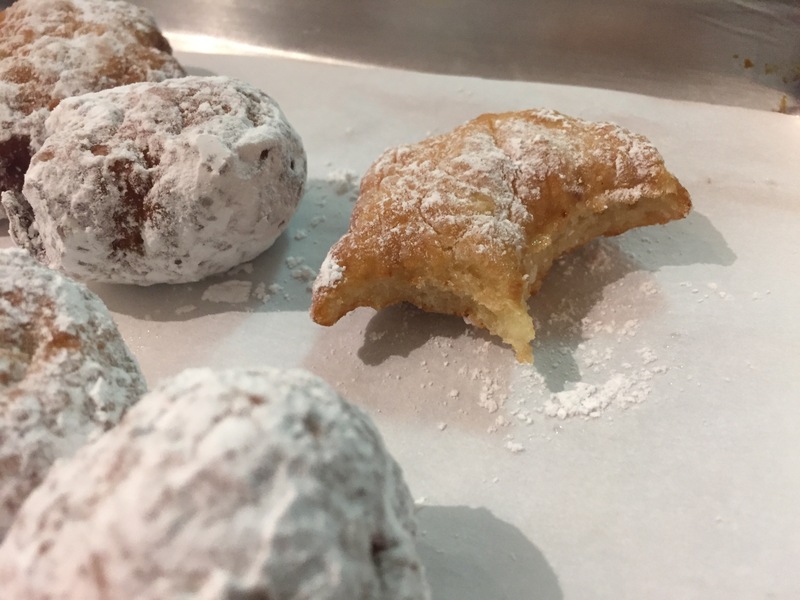 Hanukkah is a day away and you need to have sufganiyots to celebrate. Here’s the link in case you are curious. I premeasured all the dry ingredients and put them in a ziploc. The yeast had to go in after since I ran out and had to get more. As I read the recipe I noticed it required eggs and butter. My little sister, Lori, is vegan so I susbstited those ingredients with an egg replacer and oil. 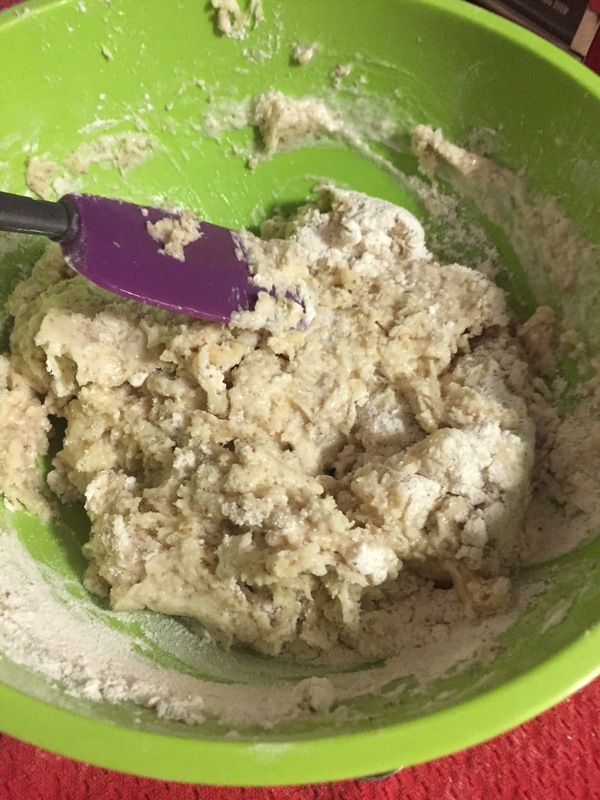 As I mix the ingredients, I noticed that the specks of yeast were still visible in the dough. But I proofed it anyway. Later, when Michael came home, I fry some and taste. It was very yeasty and the middle was still raw. He suggested we mix the dough even more. So he stirred and we proofed it again. I should’ve dissolved the yeast into the water first before mixing in with the dry ingredients. I should do that from now on. Makes sense. 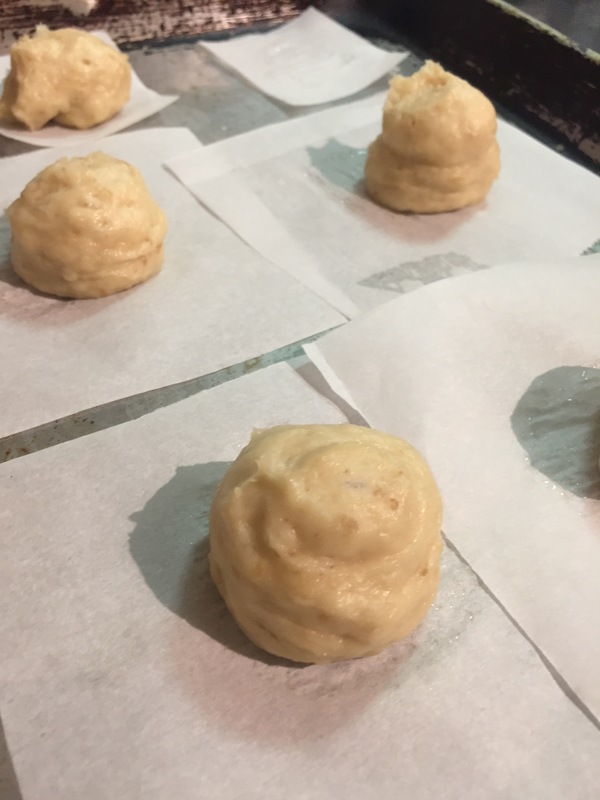 I proceeded to pipe the dough after M fixed them and the first proofing. 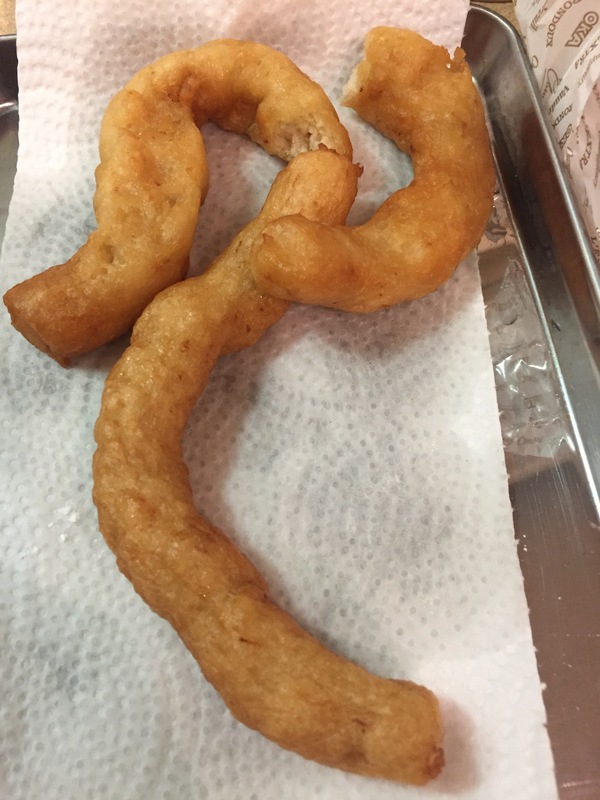 While frying them, I noted that because it’s a sweet dough, 350F was too hot and made the dough darken too quickly. So we lowered the temperature. They seemed to have cooked nicely. I can’t say I love, or even like, the taste. Personally, they’re terrible. The recipe called for 7.5 tsp of yeast. That’s a lot of yeast! Maybe it’s necessary to proof the gluten-free flour. Who knows? Michael thinks that all recipes on the internet has an element of sabotage in it. After all, why would people want to share their recipe if it’s so good? I don’t think so. In any case, here’s what i think of these vegan gluten-free sufganiyots. There are too sweet for my liking. definitely too yeasty. Heavy and dense inside – not fluffy at all. Sadly, most of it went to compost as they were not enjoyable at all. This is for sure one failed attempt at making this version of sufganiyot.